The first Muslim women elected to the United States Congress, Rashida Tlaib, the daughter of Palestinian immigrants, and Ilhan Omar, a onetime Somali refugee, were sworn in on Thursday. 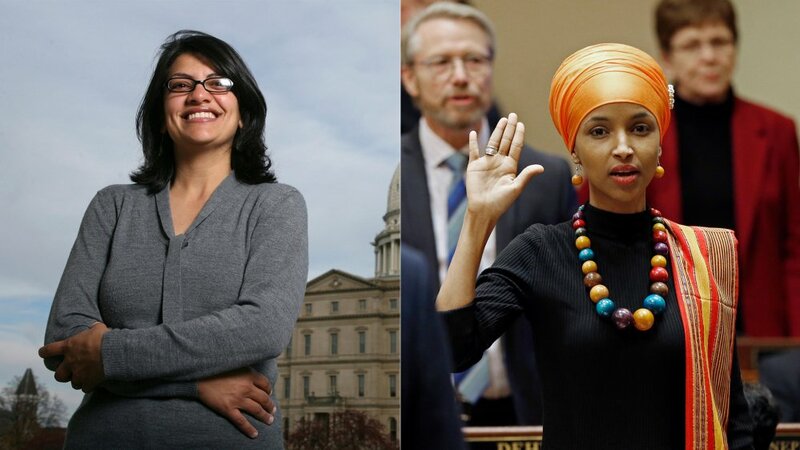 Both women — Omar, 37 and Tlaib, 42 — are Democrats from the Midwest and outspoken advocates of minority communities that have found themselves in the sights of US President Donald Trump’s anti-immigrant policies. To mark the occasion, Tlaib wore a traditional Palestinian thobe, an ankle-length garment that according to Tlaib, used to belong to her mother. On social media, she shared images of the dress and asked others to #TweetYourThobe, inspiring followers to share pictures of their dresses.